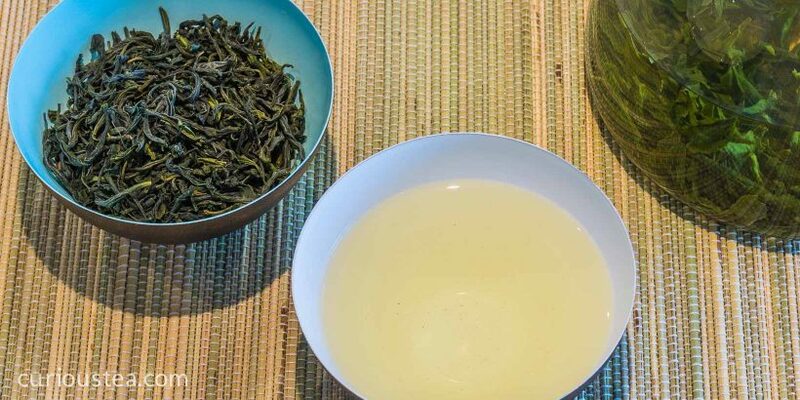 In May 2015 we are featuring the following teas for our tea club: a very rare and special Arunachal green, a delicate Sikkim Temi black tea and finally, two Keemun Mao Fengs – one green and one black! We hope you enjoy this month’s selection of gourmet teas. Mixed: Keemun Mao Feng Green and Keemun Mao Feng. Welcome to another month of Curious Tea subscriptions! We had an exciting time selecting these fantastic teas to share with you. This month is particularly exciting as we are featuring a black and a green version of the same tea in our Mixed box! We hope you will enjoy our selection, and to help you along with the tasting, here is some further information on all teas featured in our May Curious Tea boxes. Keemun is a well known tea in China, but mostly in the classic guise of a black Keemun (Qimen) tea. We will talk more about the black variety further on in this blog post. We thought that it would be fun to include a black and a green variety of the same tea in one of our mixed boxes and this month we have done exactly that! By trying both of these teas you can really appreciate how different processing techniques completely alter the taste of the tea but you should also be able to see subtle similarities between the two. Keemun Mao Feng is a high grade Keemun tea and as such is not very common. However the green version of this tea is even rarer. This is the reason we thought it would be great to include this tea in our May Light and Mixed Curious boxes. This Keemun Mao Feng Green tea has very neat and wiry dark green leaves that have a very pleasant almost fruity scent. This shape of the leaves is characteristic of all Keemun teas. This is a really exquisite tea that produces a complex smooth fruity flavour and great aroma. The tea definitely is very fresh tasting, with zesty undertones so would make a great green iced tea! This tea is best brewed with at 80°C for 1-3 minutes. Brew multiple times. 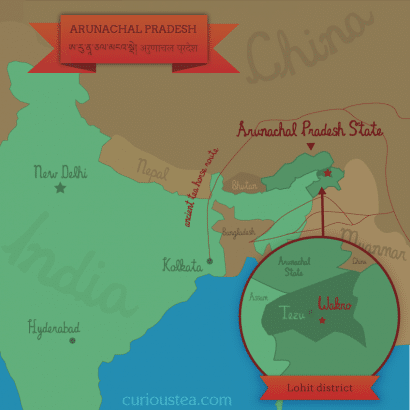 This tea is grown on the border between Indian states of Assam and Arunachal Pradesh. This is the first green tea from India to feature in our tea club. 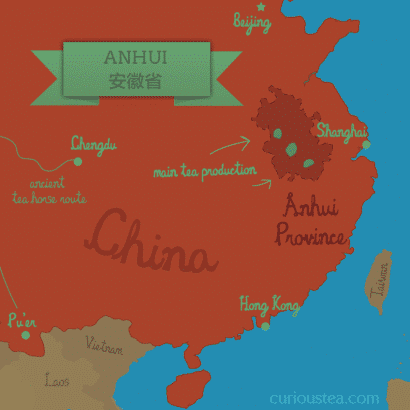 The area where this tea comes from is relatively new for tea cultivation. Most of the tea plants have been planted quite recently and most of the tea estates now make the most of science around tea growing available to them. For example, certain varieties of tea plants are known to do better in certain areas and produce tea that exhibits superior qualities. Most of the tea growing area around Arunachal Pradesh is now devoted to plants that produce Darjeeling-like teas as they seem to fare particularly well around there. In fact this area is now becoming well known for its production of Darjeeling style teas. However this particular green tea differs from a lot of other teas from India in that it is not grown on a large tea estate but instead by a very small village community. This particular tea is grown in tiny quantity in a small village in Arunachal Pradesh by the Mishmi tribe. They have been switching from growing opium to growing tea over the past years and we are really happy to be able to support them by buying their tea. We selected this Assam Arunachal Green for our May Light boxes. This tea has beautiful large and delicate dark green leaves that are lightly scented. The liquor produced is light green and has a deep vegetal flavour with delicate stony undertones. There is just a tiny hint of smoke on the aftertaste that makes this tea a bit more unusual and interesting! This tea is best brewed at 80°C for 2-3 minutes. Brew multiple times and savour the complexities of this tea from each steep. Keemun tea is produced exclusively in the Qimen County in Anhui Province of China. This tea only dates back to the 19th century, however it became extremely popular in the West almost straight away where it is commonly found in a number of classic blends, such as premium versions of English Breakfast. Keemun Mao Feng is one of the better known and higher grade varieties of Keemun tea. It is said that it is the favourite tea of Queen Elizabeth II. We selected this Keemun Mao Feng for our May Dark and Mixed tea box. This Keemun is exceptionally high grade and has long dark leaves that are lightly twisted. This is the typical appearance for this type of tea. The liquor produced is very bright with a smooth delicate stony and floral character. There are some smoky and orchid undertones present. Overall this Keemun is extremely well balanced and is a great tea to try if you are a fan of classic blends. 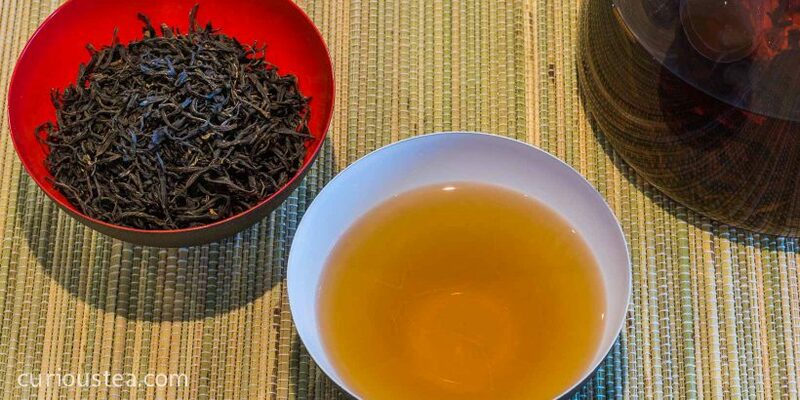 If you drink a lot of blends such as English Breakfast that are of high quality, you will be able to see come similarities between those blends and this particular tea. Sikkim is not an area a lot of people are particularly familiar with for tea growing. 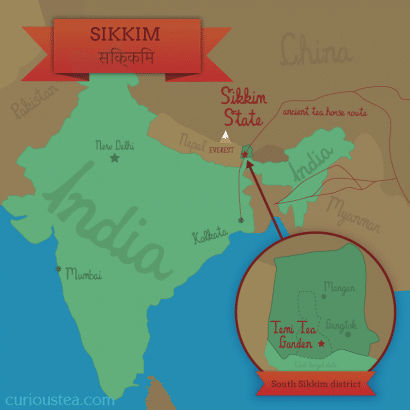 Sikkim is situated to the north of Darjeeling high in the Himalayas and borders Nepal, Tibet and Bhutan. The elevation of the Sikkim Tea Garden of around 6000ft and the natural climate lends itself to producing teas of similar style and quality to Darjeeling. 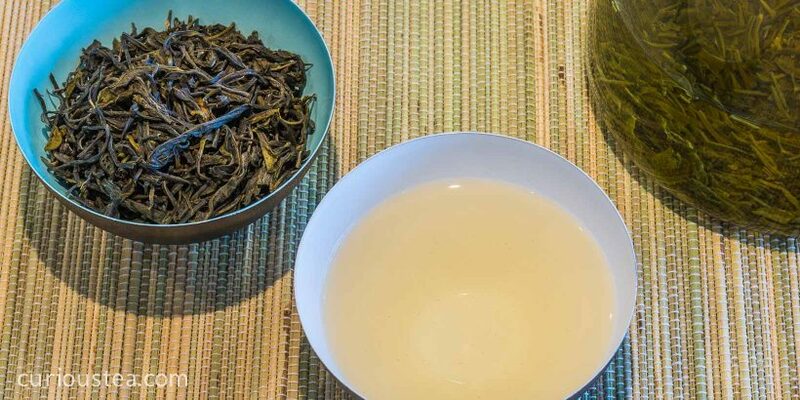 This first flush tea has an extremely well made leaf with ample tip. It is a great example of a high quality tea from a region that is not well known, yet it produces some amazing teas due to its location and growing conditions. We sourced this Sikkim Temi First Flush SFTGFOP1 (Special Finest Tippy Golden Flowery Orange Pekoe) for our May Dark tea fans. This tea is a serious rival to the best of Darjeelings. It has a very neat leaf and plenty of tip producing a bright liquor with a beautifully rounded floral first flush character. Some pineapple and toffee undertones make the character even more intriguing! Like with other delicate black teas it is best to let the water cool for a couple of minutes after boiling and before brewing this tea, aiming at a temperature of around 90-95°C. We really hope that you enjoyed the tea club selection for May and are looking forward to what we have in store for your June selection. Incidentally, if you are reading this but do not subscribe to our monthly subscription boxes and would like to receive our future selections, you can sign up to a tea subscription in just a few clicks. We ship worldwide from the UK. As always, we’d love your comments. Also if you have any questions, suggestions or just want to chat about tea, contact us at contact@curioustea.com, via our Facebook page or via Twitter. 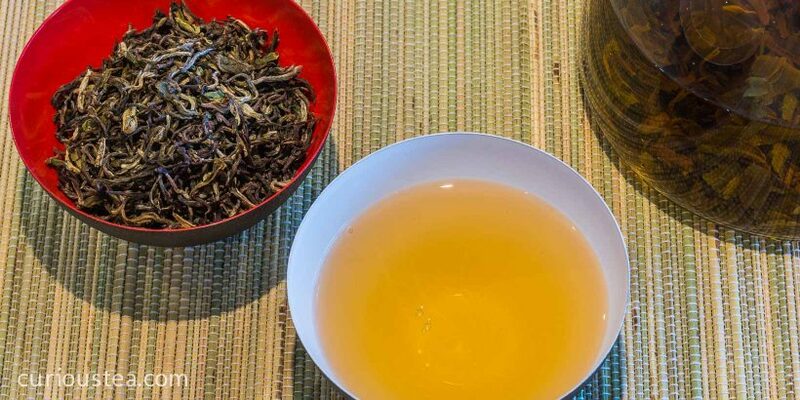 This entry was posted in Monthly boxes and tagged Arunachal pradesh, black tea, China, green tea, India, Sikkim, tea on May 15, 2015 by Curious Tea.